UPDATED 2.9.2018: Due to the long-term closure of the A379 at Slapton Stagecoach service 3 will be revised to operate from Dartmouth via the normal route to Strete and then non-stop via the A3122 and A381 to Kingsbridge, before rejoining the normal route to Plymouth. A separate service will operate between Kingsbridge and Torcross. It is not known when the road will reopen so you are advised to check before travelling. The usual route is above. Below is the current route while the A379 is closed at Slapton. Slapton can only be accessed on certain journeys in the special shuttle service that runs on weekdays between Kingsbridge and Torcross. Stagecoach route 3 provides a scenic route between Plymouth and Dartmouth. It runs every hour Monday to Saturday daytimes, with a limited Sunday service. 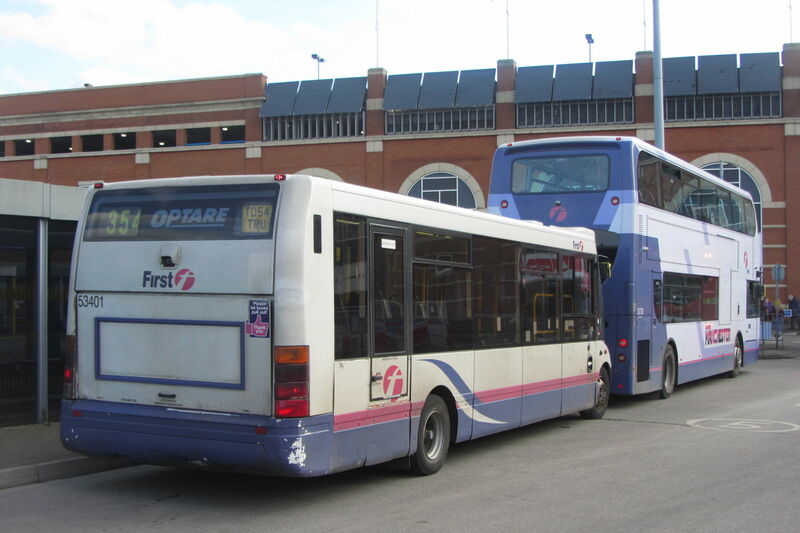 Click here to discover other bus routes across the South West. Use stop A for Dartmouth, stop B for Plymouth and stop C for Torcross & Slapton. Due to the long-term closure of the A379 at Slapton, Stagecoach service 3 will be revised to operate from Dartmouth via the normal route to Strete and then non-stop via the A3122 and A381 to Kingsbridge, before rejoining the normal route to Plymouth. A separate service will operate between Kingsbridge and Torcross. It is not known when the road will reopen so you are advised to check before travelling. Buses to Torcross/Slapton stop on the right, buses to Kingsbridge for Plymouth on the left in the distance, on the A379. Due to the long-term closure of the A379 at Slapton Stagecoach service 3 will be revised to operate from Dartmouth via the normal route to Strete and then non-stop via the A3122 and A381 to Kingsbridge, before rejoining the normal route to Plymouth. A separate service will operate between Kingsbridge and Torcross. It is not known when the road will reopen so you are advised to check before travelling. See the timetable here, here and here. See a full stop listing here. The cheapest day ticket that is valid the full length of route 3 is the Stagecoach South West Explorer at £8.30 for an adult. It is valid on all Stagecoach buses throughout Devon, Cornwall and Somerset. For shorter journeys within Plymouth, the Plymouth Dayrider at £3.80 is valid on the 3 between the city centre and Elburton. It's valid on all Stagecoach buses within their Plymouth zone. The Plymouth Plus Dayrider at £5.80 is valid between Plymouth and Ashford. It is valid on all Stagecoach buses within their Plymouth Plus zone, which even extends to Tavistock. If you'll only be travelling within Plymouth (no further than Elburton on the 3) and also want to use the buses of other operators like Plymouth Citybus, then you need the multi-operator Plymouth Skipper ticket at £4.50 for a day. It is valid on all buses within the city of Plymouth, regardless of operator. If arriving in Plymouth by train, you can use a Plusbus Plymouth ticket on route 3 as far as Elburton Hotel/School. You can catch trains to many destinations from Plymouth railway station. For an interactive bus map of the whole of Devon, showing the routes of all operators, click here. From Kingsbridge, connect with Tally Ho 606 to Salcombe. From Dartmouth, you can connect with Stagecoach X64 to Totnes and Exeter. Alternatively, take one of the three ferries (1, 2, 3) across the river to Kingswear, where you can continue your journey with Stagecoach 18 to Brixham or the 120 to Paignton. Target 94 provides some additional journeys between Plymouth and Yealmpton. Plymouth Citybus provide several additional routes between Plymouth City Centre and Plymstock.